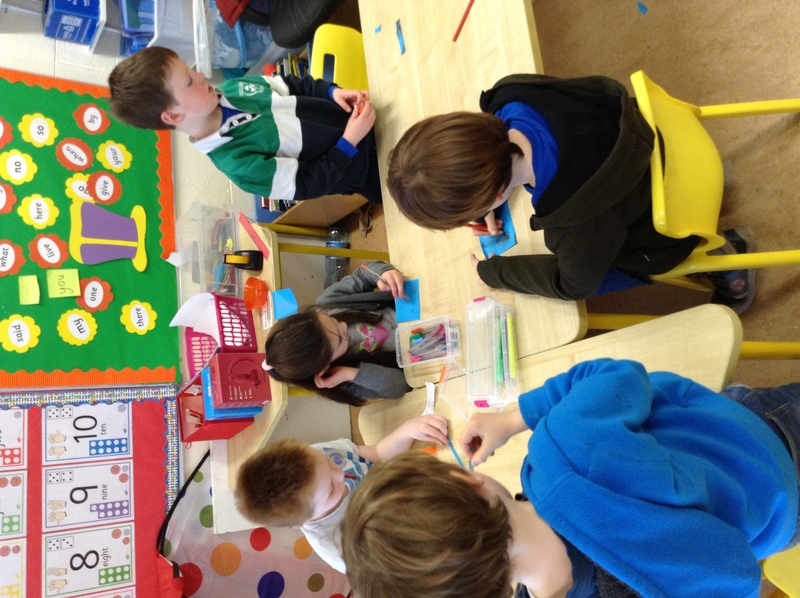 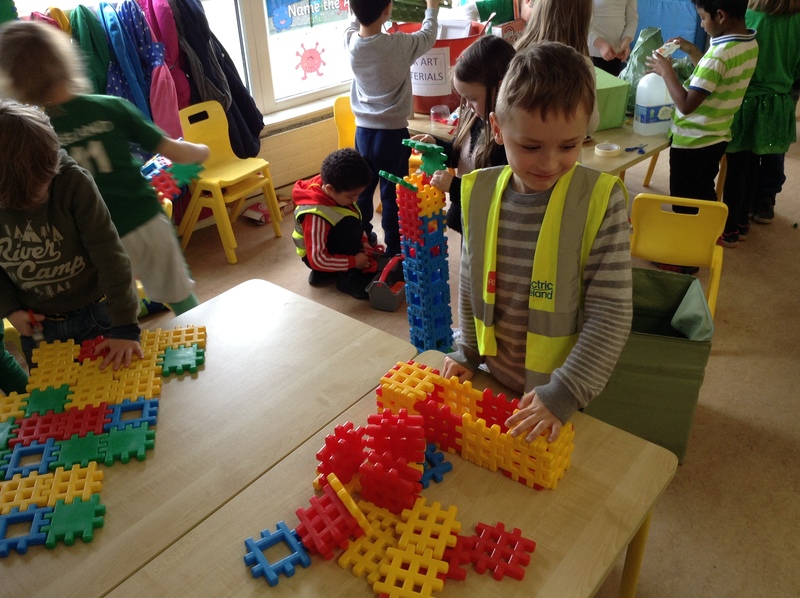 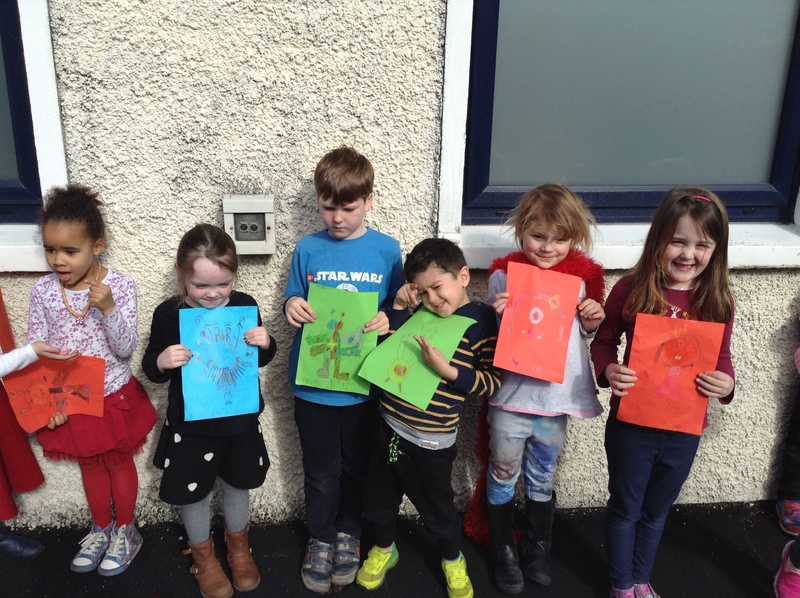 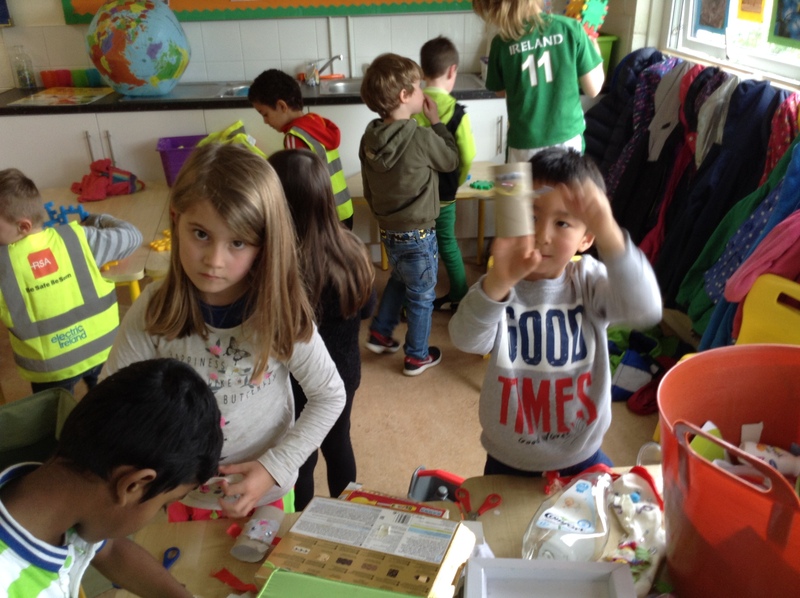 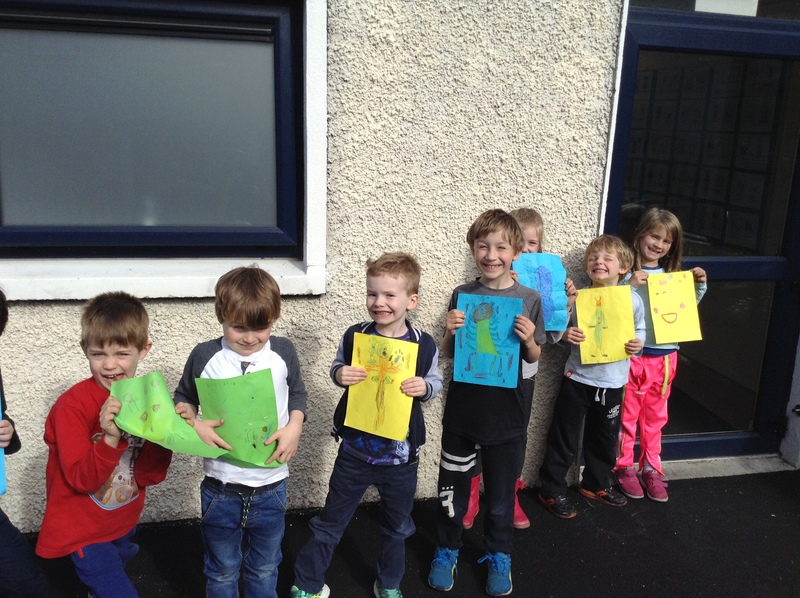 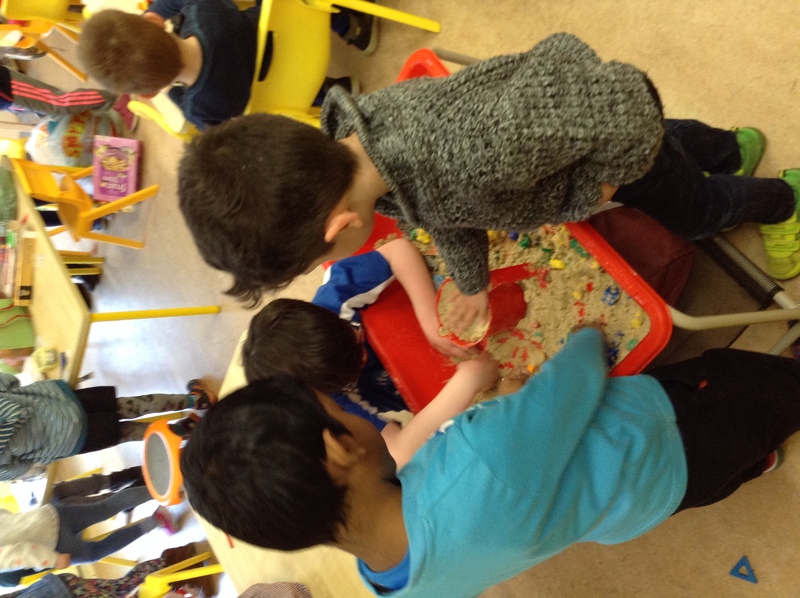 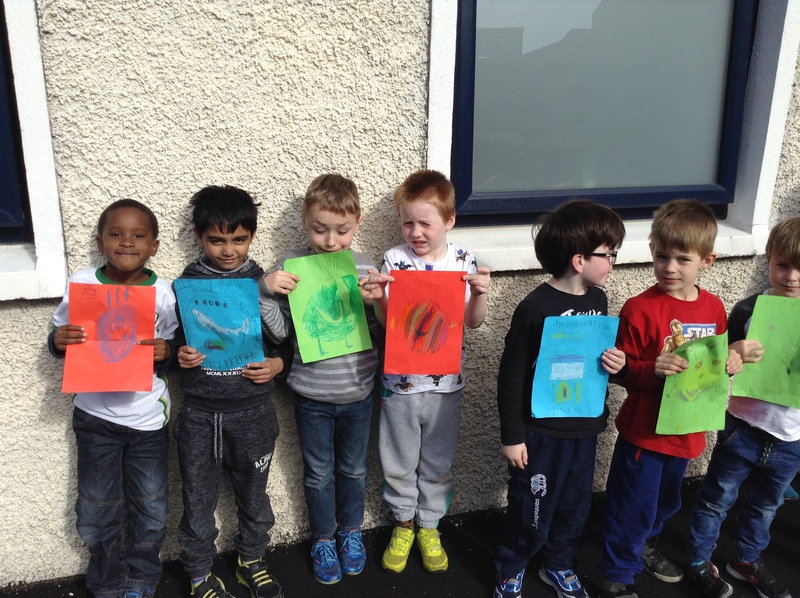 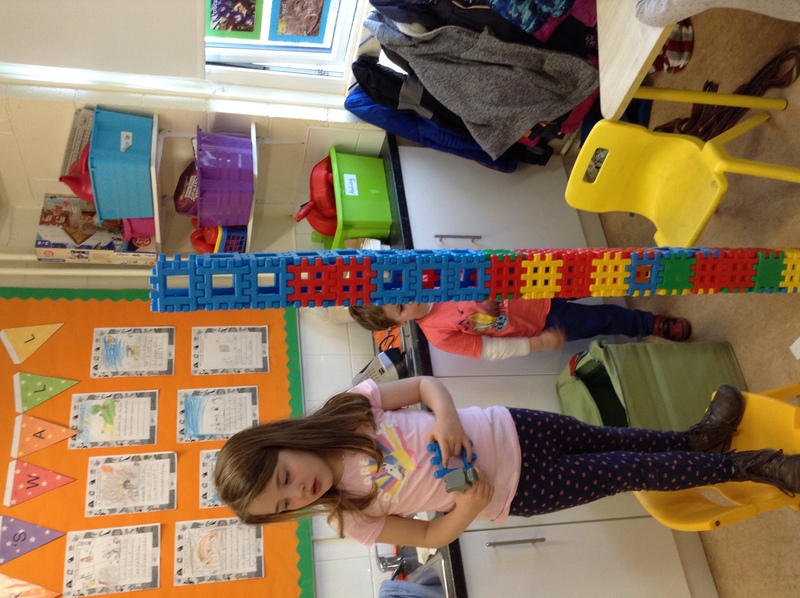 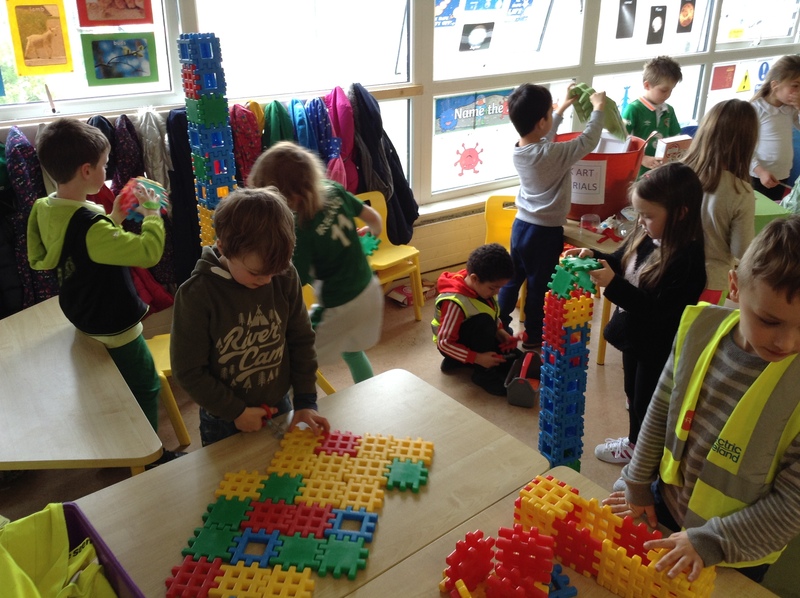 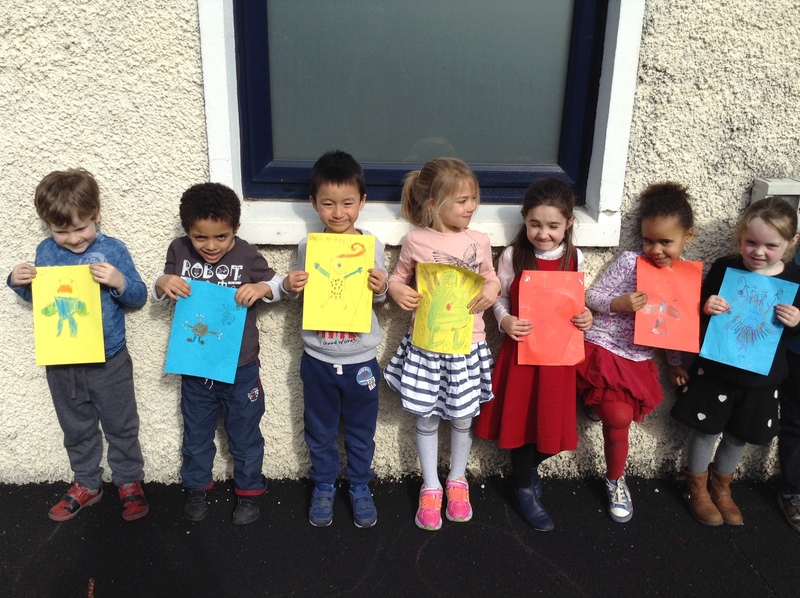 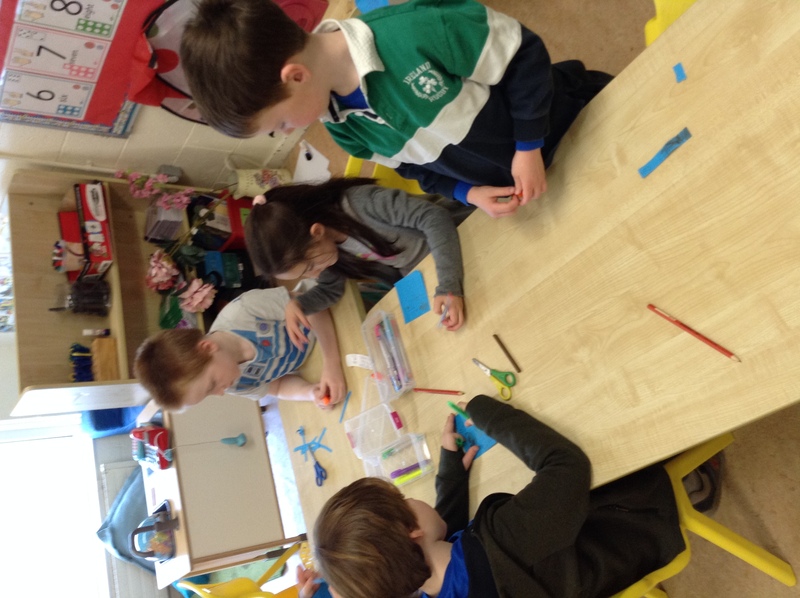 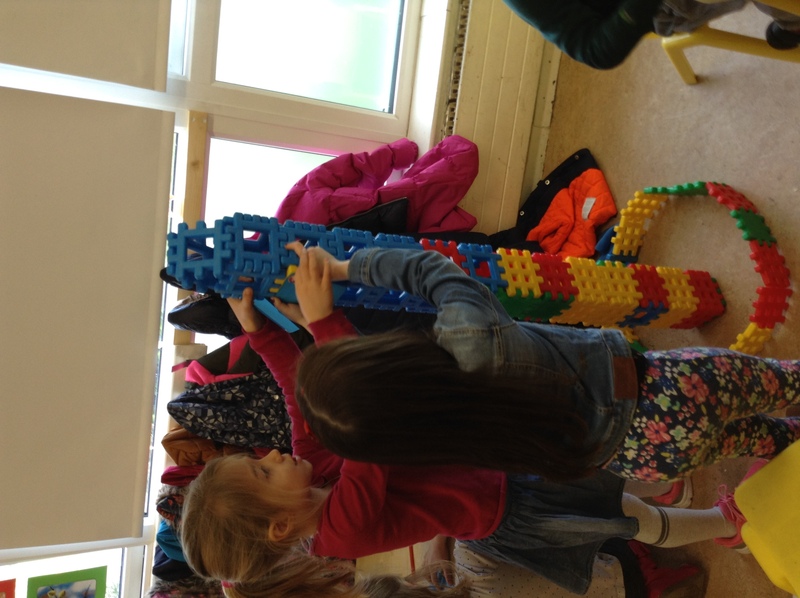 Senior Infants are learning all about Space this month. 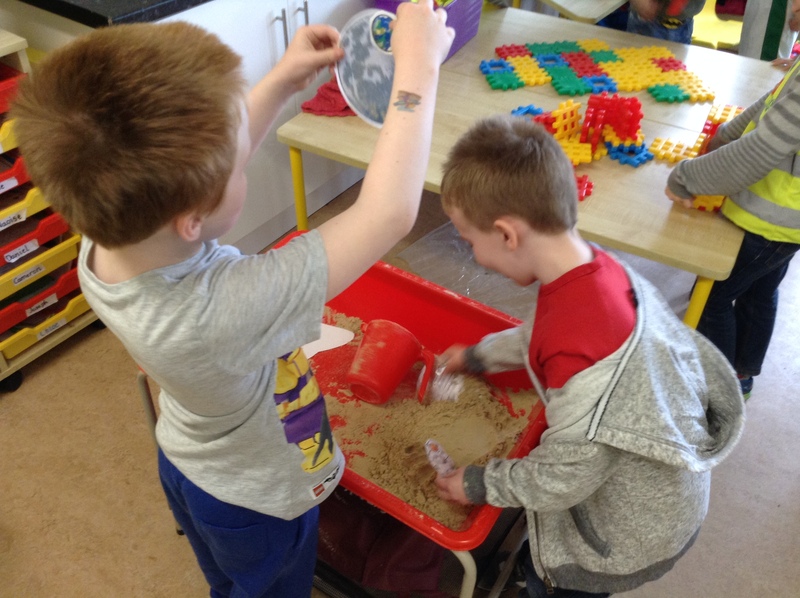 We have loved learning all about Neil Armstrong’s moon landing. 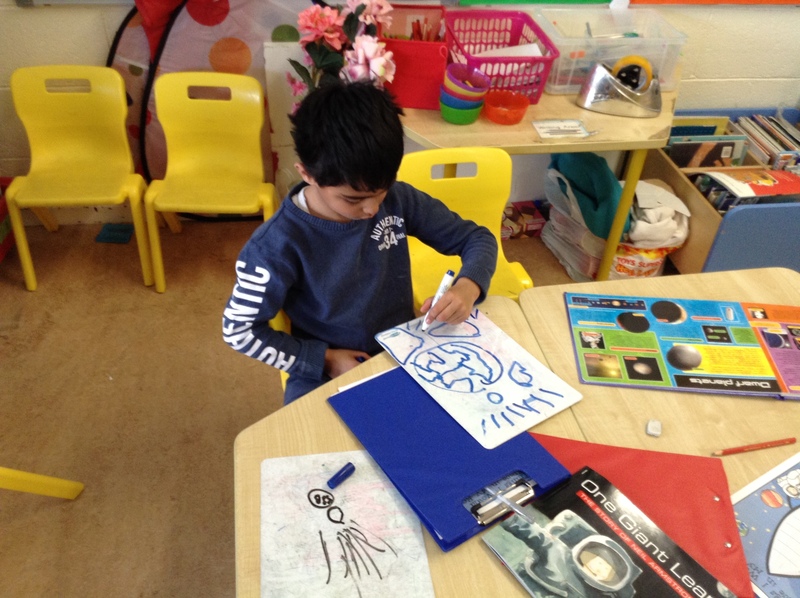 We have been designing space aliens in art and writing about our aliens in English. 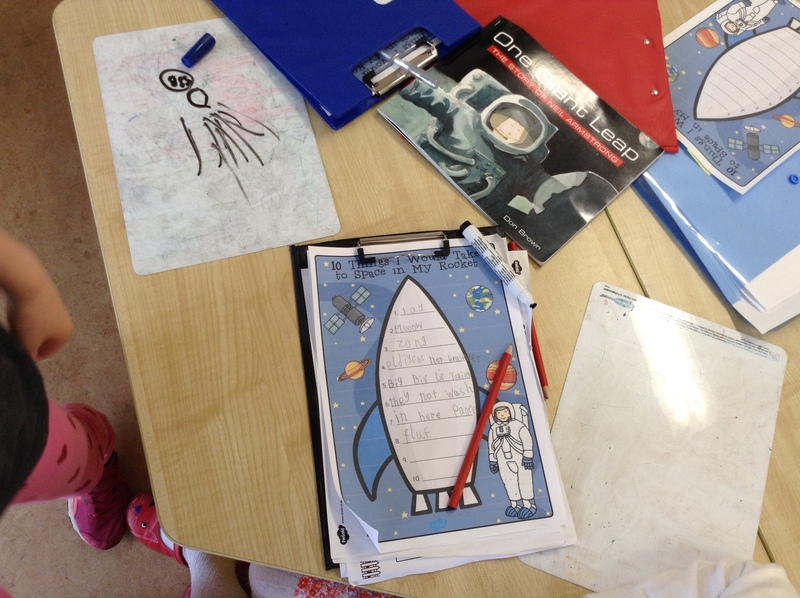 We have been reading a variety of factual and fictional books about space. 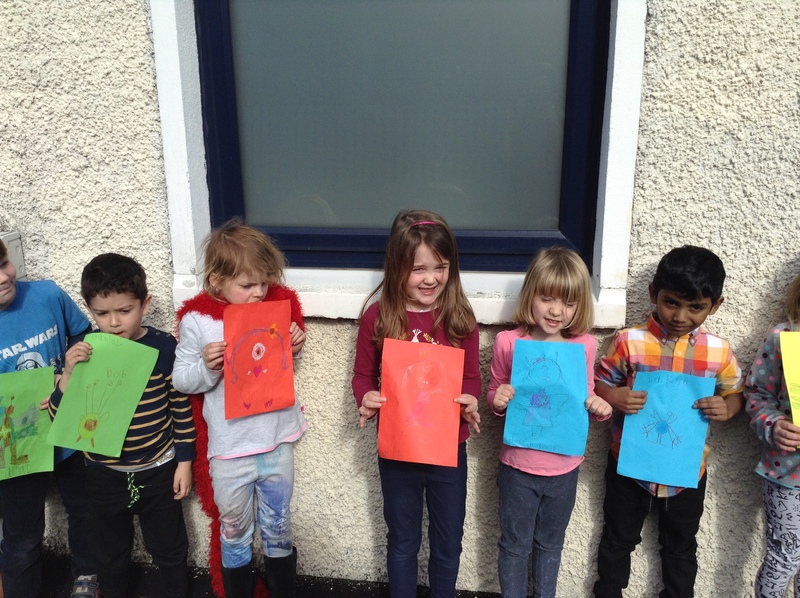 We have been singing songs about the planets and learning poems about going to space! 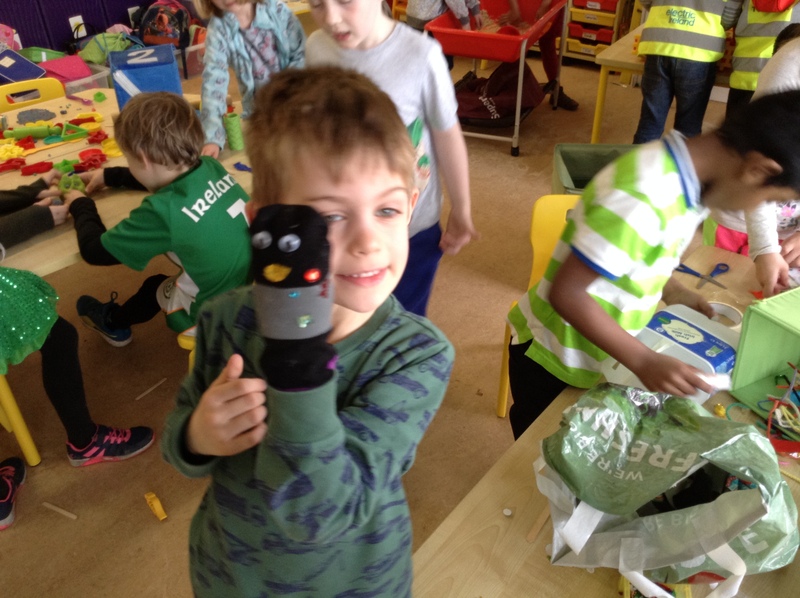 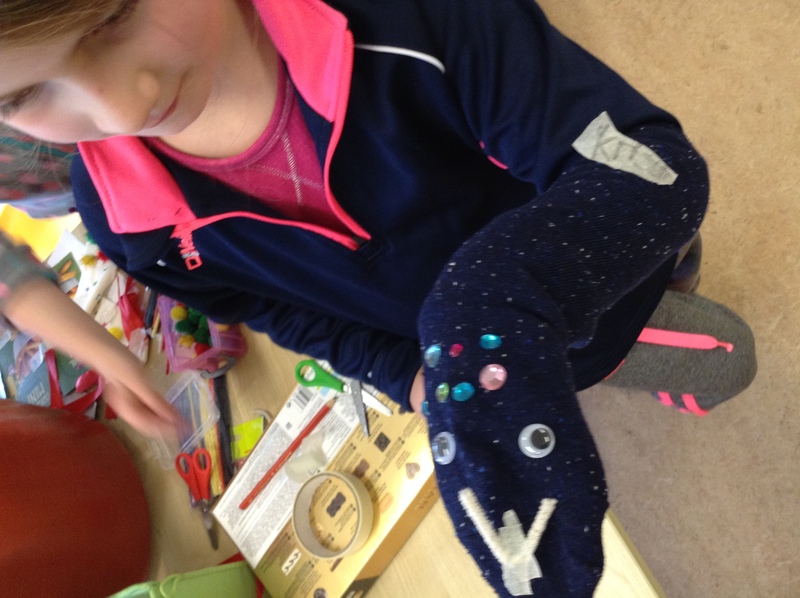 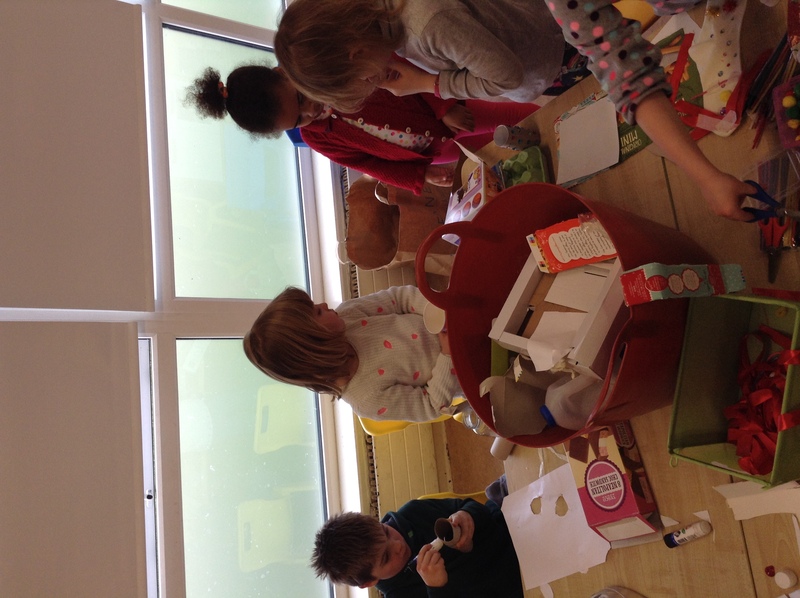 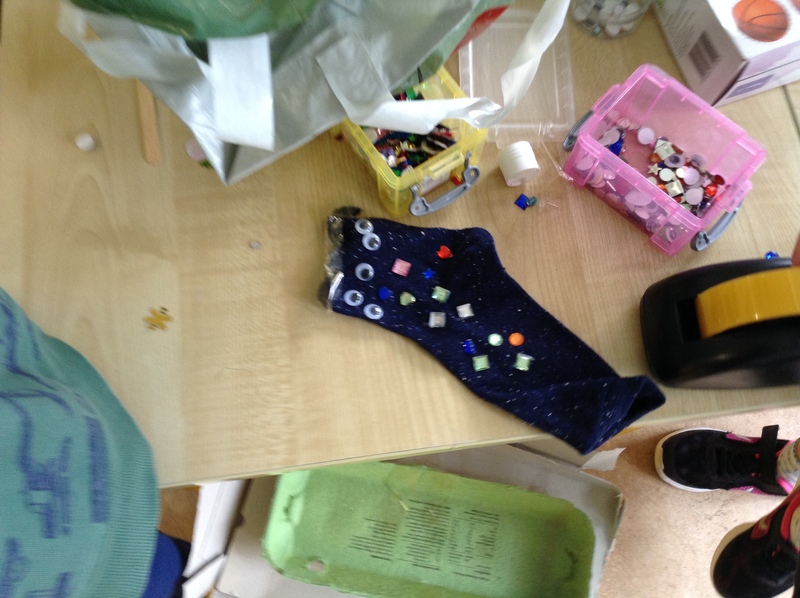 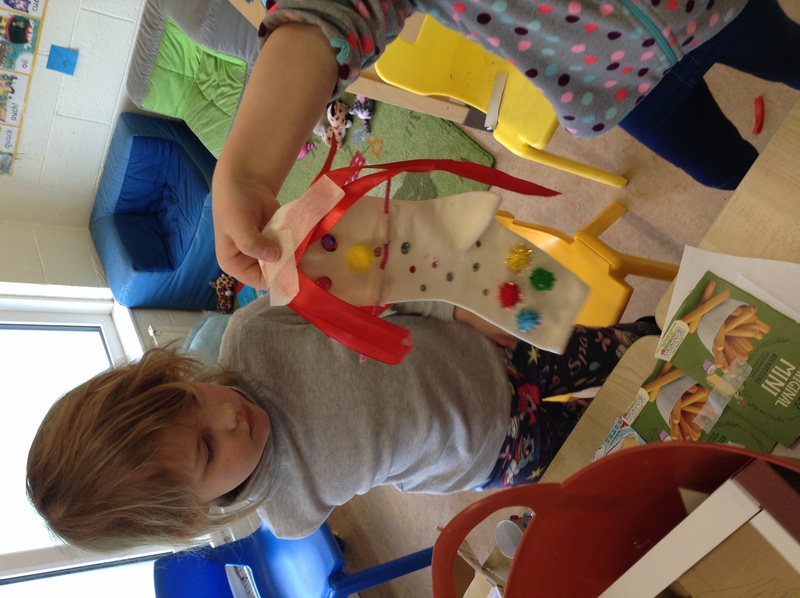 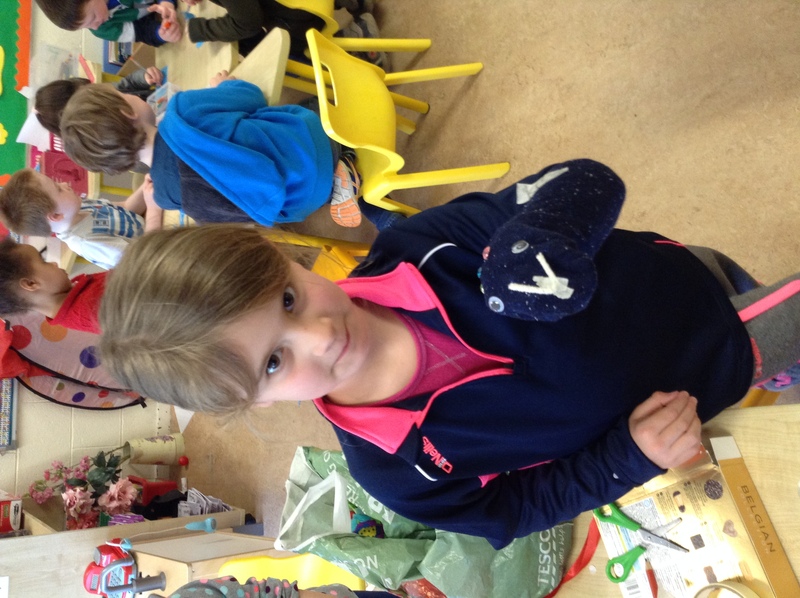 During our play, we have been designing space rockets in construction and making sock aliens in junk art. 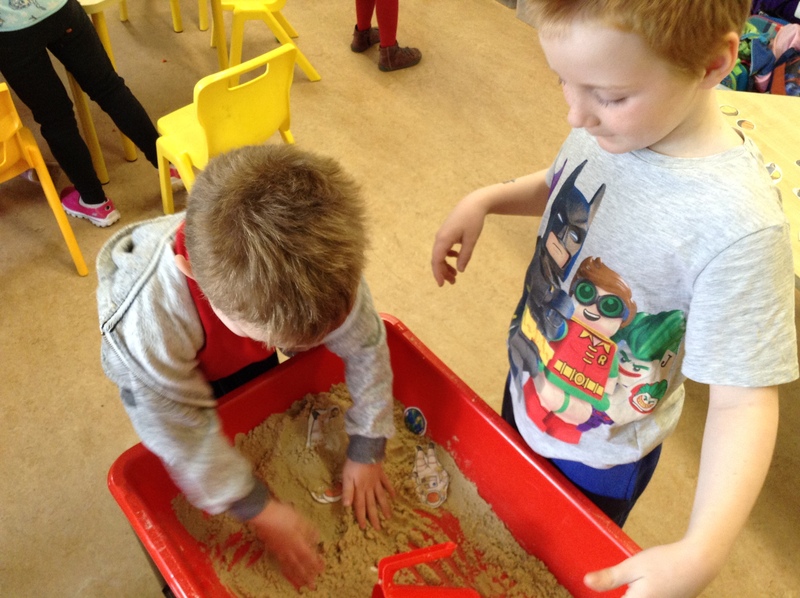 We have been constructing alien homes on the moon in the sand area -as well as acting out the moon landing and making the astronauts footprints! 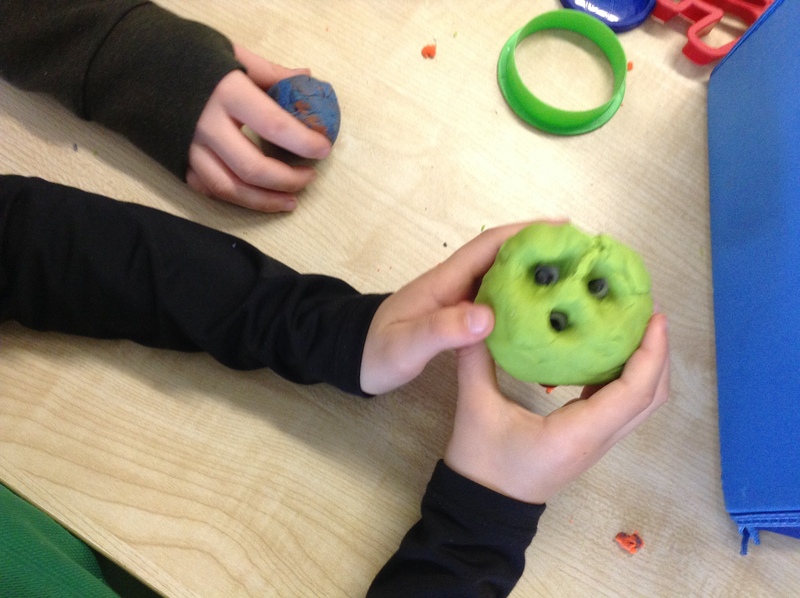 Aliens have been appearing in our play dough area and there have been several UFO sightings in the socio-dramatic area! 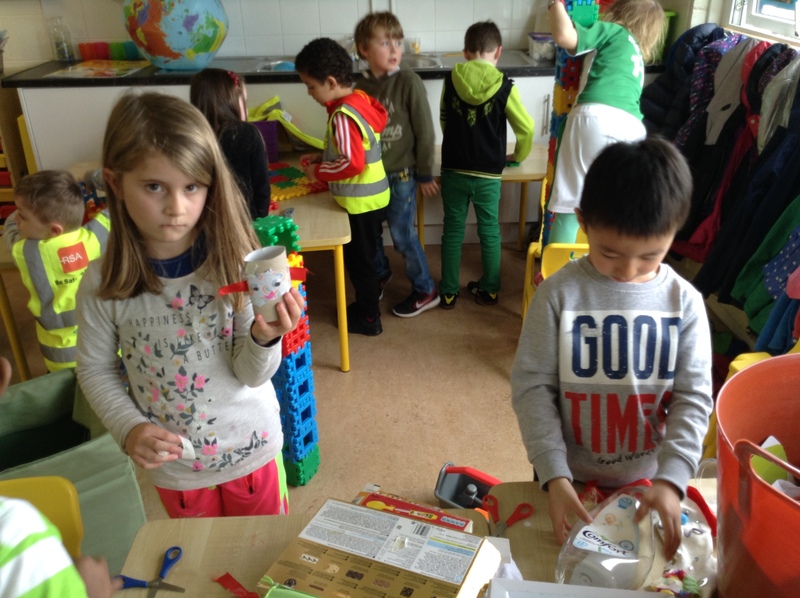 The astronauts working there have even made contact with some friendly space creatures! 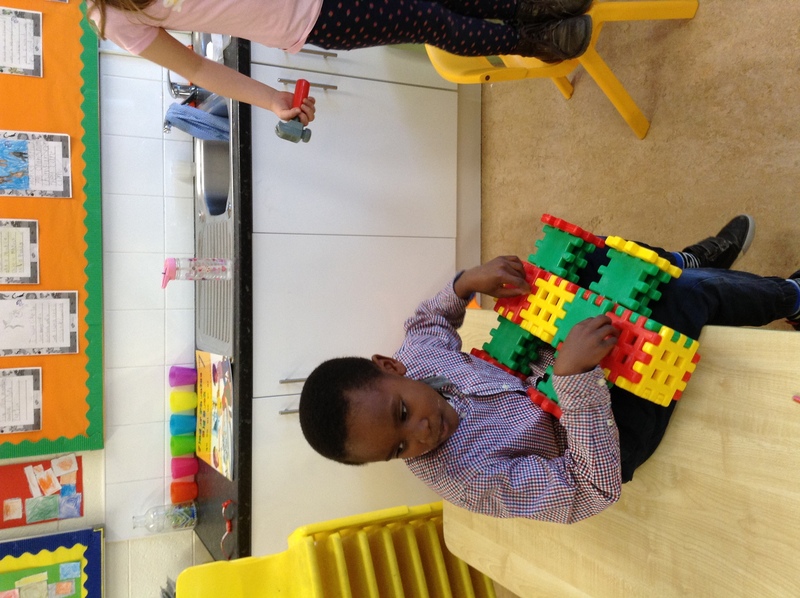 Have a look at our gallery to see how much fun we are having!